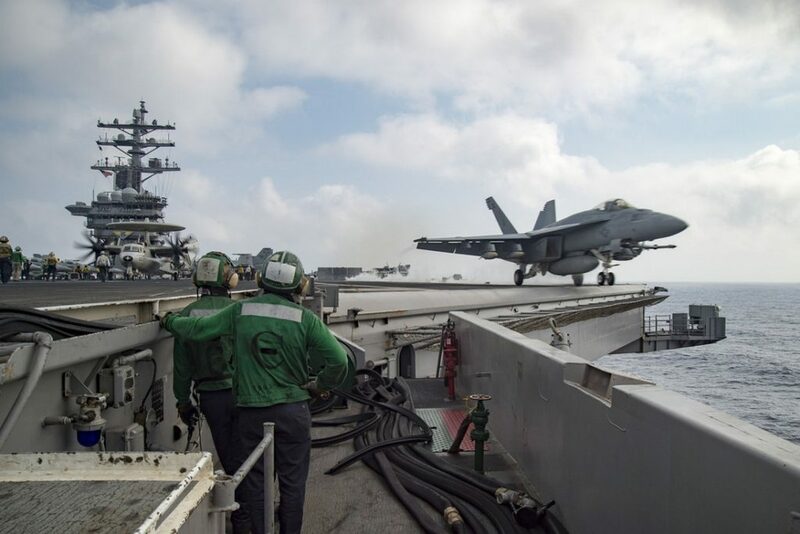 There are so many wars and rumors of war involving the United States these days that it starts to feel a little unreal, even for the most devoted of news watchers. And for many Americans, it’s long been that way. For them, the meaning of war is closer to reality T.V. than it is to reality. Or you could come across statistics two orders of magnitude larger in learning from a variety of sources that famine is stalking 17 million people in Yemen. That is the predictable result of a Saudi Arabian proxy war against Iran, a campaign supported by the U.S. with weaponry and logistical assistance, in which, according to Human Rights Watch, the United States may well be complicit in torture. You could contemplate the fact that in Iraq, a country the United States destabilized with its 2003 invasion and occupation, there are still at least three million internally displaced people, according to the U.N. High Commission for Refugees. Or that more than 411,000 Iraqis remain displaced from their homes in Mosul alone since the Iraqi army launched a U.S.-backed offensive to drive ISIS out of that city in October 2016. Yes, it’s possible to click on those links or to catch so many other internet or T.V. news reports about how such American or American-backed wars are damaging infrastructure, destroying entire health care systems, uprooting millions and putting at risk the education of whole generations thousands of miles away. But none of it is real for most of us in this country. How could it be real? Most of us no longer have any idea what war is like for the people who live through it. No major war has been fought on U.S. territory since the Civil War ended in 1865, and the last people who remembered that terrible time died decades before the turn of this century. There’s no one around to give us a taste of that reality — except of course for the refugees that Pres. Donald Trump’s administration is now doing its best to keep out. In addition, Americans who once were mobilized to support their country’s wars in distant lands — remember Victory Gardens or war bond drives? — are simply told to carry on with their lives as if it were peacetime. And the possibility of going to war in an army of citizen draftees has long been put to rest by America’s “all-volunteer” military. As the U.S. battlefield expands, the need becomes ever greater for people in this country to understand the reality of war, especially now that we have a president from the world of “reality” T.V. During the second half of the 20th century, Congress repeatedly ceded its constitutional power to declare war to successive executive administrations. At the moment, however, we have in Trump a president who appears to be bored with those purloined powers — and with the very idea of civilian control over the military. In fact, our feckless commander-in-chief seems to be handing over directly to that military all power to decide when and where this country sends its troops or launches its missiles from drones. Now that our democratic connection to the wars fought in our name has receded yet one more step from our real lives and any civilian role in war — except praising and thanking “the warriors” — is fading into the history books, isn’t it about time to ask some questions about the very nature of reality and of those wars? We think of wars, reasonably enough, as primarily affecting the soldiers engaged in them. The young men and women who fight — some as volunteers and some who choose military service over unemployment and poverty — do sometimes die in “our” wars. And even if they survive, as we now know, their bodies and psyches often bear the lifelong scars of the experience. Indeed, I’ve met some of these former soldiers in the college philosophy classes I teach. There was the erstwhile Army sniper who sat in the very back of the classroom, his left leg constantly bouncing up and down. The explosion of a roadside bomb had broken his back and left him in constant pain, but the greatest source of his suffering, as he told me, was the constant anxiety that forced him on many days to walk out halfway through the class. And there were the young women who told the class that, in fear, they’d had to move out of their homes because their boyfriends came back from the wars as dangerous young men they no longer recognized. If we in this country know anything real about war, it’s from people like these — from members of the military or those close to them. But we only get the most partial understanding of war from veterans and their families. In fact, most people affected by modern wars are not soldiers at all. Somewhere between 60 and 80 million people died during World War II, and more than 60% of them were civilians. They died as victims of the usual horrific acts of war, or outright war crimes, or crimes against humanity. A similar number succumbed to war-related disease and famine, including millions in places most Americans don’t even think of as major sites of that war’s horrors — China, India, French Indochina and the Dutch East Indies. And, of course, close to six million Poles, most of them Jews, along with at least 16 million Soviet civilians died in the brutal Nazi invasion and attempted occupation of major parts of the Soviet Union. So what is war like for the people who live where it happens? We can find out a reasonable amount about that if we want to. It’s not hard to dig up personal accounts of such experiences in past wars. But what can we know about the civilians living through our country’s current wars in Afghanistan, Iraq, Syria or Yemen? There, too, personal accounts are available, but you have to go searching. Certainly, it’s possible, for instance, to learn something about the deaths of 200 people in a school hit by a single U.S. air strike in the Syrian city of Raqqa. But that can’t make us feel the unendurable, inescapable pain of a human body being crushed in the collapse of that one school. It can’t make us hear the screams at that moment or later smell the stench of the decomposing dead. You have to be there to know that reality. Still, daily life in a country at war isn’t all screams and stench. A lot of the time it’s just ordinary existence, but experienced with a kind of double awareness. On the one hand, you send your children to school, walk to the market to do your shopping, go out to your fields to plow or plant. On the other, you know that at any moment your ordinary life can be interrupted — ended, in fact — by forces over which you have no control. That’s what it was like for me during the months I spent, as my partner likes to say, trying to get myself killed in somebody else’s country. In 1984, I worked for six months in the war zones of Nicaragua as a volunteer for Witness for Peace. In 1979, the Sandinista movement had led a national insurrection, overthrowing the U.S.-backed dictator Anastasio Somoza. In response, the United States had funded counterrevolutionaries, or “contras,” who, by the time I arrived, had launched a major military campaign against the Sandinistas. Under CIA direction, they had adopted a military strategy of sabotaging government services, including rural health clinics, schools and phone lines, and terrorizing the civilian population with murders, kidnappings, torture and mutilation. My job was simple — to visit the towns and villages that they had attacked and record the testimony of the survivors. In the process, for instance, I talked to a man whose son had been hacked into so many pieces he had to bury him in the field where he had been left. I met the children of a 70-year-old man a week after the contras flayed him alive, slicing the skin off his face. I talked to the mayor of a town in northern Nicaragua, whose parents were kidnapped and tortured to death by the contras. The original dream of WFP was somewhat more grandiose than collecting horror stories. American volunteers were to provide a “shield of love” for Nicaraguans threatened by the U.S.-supported contras. The theory was that they might be less inclined to attack a town if they knew that U.S. citizens were in the area, lest they bite the hand that was — however clandestinely — feeding them. So much for who was shielding whom. 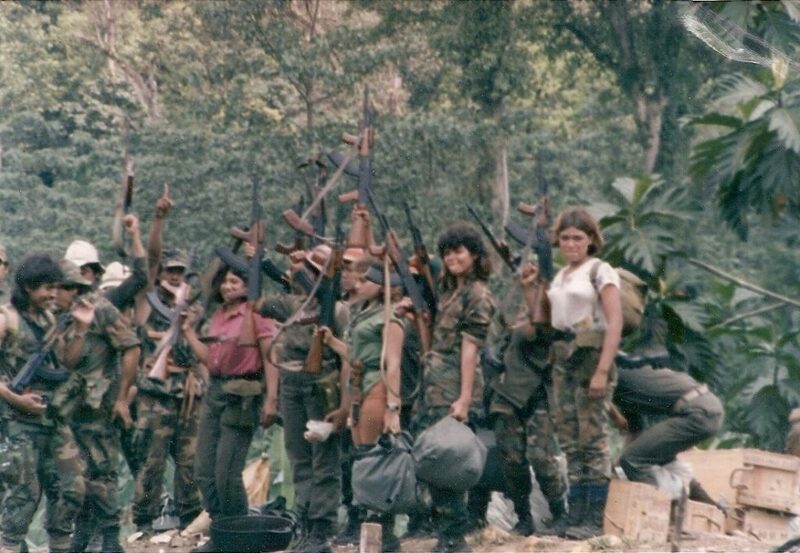 On that particular night, the Nicaraguan army confronted the contras before they made it to Jalapa. We could hear a battle in the distance, but it never threatened the town itself. All that day, we’d been digging to help build Jalapa’s refugio, an underground shelter to protect children and old people in case of an aerial attack. Other town residents had been planting trees on the denuded hillsides where Somoza had allowed U.S. and Canadian lumber companies to clear-cut old-growth forest. This was dangerous work; tree planters were favorite contra targets. But most people in town were simply going about their ordinary lives — working in the market, washing clothes, fixing cars — while the loudspeakers on the edge of town blared news about the latest contra kidnappings. Keep in mind that my experience was limited. I wasn’t a Nicaraguan. I could leave whenever I chose. And after those six months, I did go home. The Nicaraguans were home. In addition, the scale of that war was modest compared to the present U.S. wars across the Greater Middle East. And Nicaraguans were fortunate to escape some of the worst effects of a conflict fought in an agricultural society. So often, war makes planting and harvesting too dangerous to undertake and when the agricultural cycle is interrupted people begin to starve. In addition, it was short enough that, although the contras intentionally targeted schools and teachers, an entire generation did not lose their educations, as is happening now in parts of the Greater Middle East. Many rural Nicaraguans lacked electricity and running water, so there was no great harm done when “se fue la luz” — the electricity was cut off, as often happened when the contras attacked a power generator. Worse was when “se fue el agua” — the water in people’s homes or at communal pumps stopped running, often as a result of a contra attack on a pumping station or their destruction of water pipes. Still, for the most part, these were unpleasant inconveniences in a rural society where electricity and running water were not yet all that common, and where people knew how to make do without. Your life, of course, is organized around the modern infrastructure that brings light, power and water into your home. In the United States, unless you live in Flint, Michigan, it’s hard to grasp what it might be like not to have potable water dependably spilling out of the faucet. Suppose you got up one morning and your phone hadn’t charged overnight, the light switches had all stopped working, you couldn’t toast your Pop-Tarts, and there was no hope of a cup of coffee, because there was no water. No water all that day, or the next day, or the one after. What would you do after the bottled water was gone from the stores? What would you do as you watched your kids grow weak from thirst? Where would you go, when you knew you would die if you remained in the familiar place that had so long been your home? What, in fact, would you do if opposing armed forces — as in most of the cities mentioned above — fought it out in your very neighborhood? I’ve been teaching college students for more than a decade. I now face students who have lived their entire conscious lives in a country we are told is “at war.” They’ve never known anything else, since the moment in 2001 when George W. Bush declared a Global War on Terror. But their experience of this war, like my own, is less reality, and more reality T.V. Their iPhones work. The water and light in their homes are fine. Their screens are on day and night. No one bombs their neighborhoods. They have no citizen-duty to go into the military. Their lives are no different due to the “war” — or rather “wars” — their country is fighting in their name in distant lands. Theirs, then, is the strangest of “wars,” one without sacrifice. It lacks the ration books, the blackouts, the shortages my parents’ generation experienced during World War II. It lacks the fear that an enemy army will land on our coasts or descend from our skies. None of us fears that war will take away our food, electricity, water or — most precious of all — our Wi-Fi. For us, if we think about them at all, that set of distant conflicts is only an endless make-believe war, one that might as well be taking place on another planet in another universe. Of course, in a sense, it’s inaccurate to say we’ve sacrificed nothing. The poorest among us have, in fact, sacrificed the most, living in a country willing to put almost any sum into the Pentagon and its wars, but “unable” to afford to provide the basic entitlements enshrined in the Universal Declaration of Human Rights — life, food, clothing, housing, education, not to speak, these days, of infrastructure. What could a U.S. government do for the health, education and general wellbeing of its people, if it weren’t devoting more than half the country’s discretionary spending to the military? There’s something else we haven’t had to sacrifice, though — peace of mind. We don’t have to carry in our consciousness the effects of those wars on our soldiers, on our military adversaries, or on the millions of civilians whose bodies or lives have been mangled in them. Those effects have been largely airbrushed out of our mental portrait of a Pax Americana world. Our understanding of our country’s endless wars has been sanitized, manipulated and packaged for our consumption the way producers manipulate and package the relationships of participants on reality T.V. shows such as The Bachelor. If Vietnam was the first televised war, then the 1991 Gulf War against Saddam Hussein’s Iraq was the first video-game-style war. Who could forget the haunting green images of explosions over Baghdad on that first night — even if they’ve forgotten the 50 “decapitation” strikes against the Iraqi leadership that killed not one of them but dozens of civilians? Who could forget the live broadcasts streamed from video cameras attached to “smart” bombs — or the time two of them demolished what turned out to be a civilian air raid shelter, killing more than 200 people hiding inside? Who could forget those live reports from CNN that gave us the illusion that we were almost there ourselves and understood just what was seemingly unfolding before our eyes? In fact, a University of Massachusetts study later found that “the more people watched T.V. during the Gulf crisis, the less they knew about the underlying issues, and the more likely they were to support the war.” And even if we did understand the “underlying issues,” did we understand what it’s like to find yourself trapped under the rubble of your own house? During almost 16 years of war since the attacks of 9/11, the mystification on the “home front” has only grown, as attention has wandered and some of our ongoing wars — as in Afghanistan — have been largely forgotten. Our enemies change regularly. Who even remembers Al Qaeda in Iraq or that it became the Islamic State? Who remembers when we were fighting the Al-Qaeda-inspired Al Nusra Front instead of welcoming its militants into an alliance against Bashar Al Assad in Syria? The enemies may rotate, but the wars only continue and spread like so many metastasizing cancer cells. Even as the number of our wars expands, however, they seem to grow less real to us here in the United States. So it becomes ever more important that we, in whose name those wars are being pursued, make the effort to grasp their grim reality. It’s important to remind ourselves that war is the worst possible way of settling human disagreements, focused as it is upon injuring human flesh — and ravaging the basics of human life — until one side can no longer withstand the pain. Worse yet, as those almost 16 years since 9/11 show, our wars have caused endless pain and settled no disagreements at all. In this country, we don’t have to know that in American wars real people’s bodies are torn apart, real people die, and real cities are turned to rubble. We can watch interviews with survivors of the latest airstrikes on the nightly news and then catch the latest episode of ersatz suffering on Survivor. After a while, it becomes hard for many of us to tell — or even to care — which is real, and which is only reality T.V.